The President of the Republic of Liberia, His Excellency George Manneh Weah, on Wednesday, February 14, 2018, formed a nine-member committee and “Mandated it to review and ensure that all contracts entered into by the Government of Liberia and Concessionaires are executed according to agreed principles in accordance with the Laws of Liberia.” (Liberia’s Executive Mansion Website). Atty. Archie Bernard (Legal Advisor to the President) is the Chairman of the committee, while Cllr. T. Negbalee Warner Co-chairs the committee. Other members of the committee include: Mr. Charles Bright (Liberia’s economic advisor), Cllr. Necular Y. Edwards, Cllr. Bendu E. Clark, Ms. Juah Nancy Cassell, Cllr. Jallah Barbu, Cllr. Teplah Reeves, and Cllr. David A. B. Jallah. In 2012, surging news about corruption and fraud in Liberia’s US$ 100million timber sector led the Liberian government under Ellen Johnson Sirleaf to suspend large logging operations in the country for a short period of time. Furthermore, the Guardian also carried a news story in its May 8, 2013 edition, that in 2012, “ A deal with ExxonMobil and its partner Canadian Overseas Petroleum Limited over an oil field known as Block 13 did not conform to the dictates of Liberian law, which requires 10% in royalties for the republic. The deal only generated 5% in royalties for Liberia.” So, it has been the fervent hope of not only this writer, but also many Liberians who are the victims of these bad agreements that mortgaged the country’s mineral and natural resources to predominantly multinational foreign monopoly capital, to have a government, driven by national consciousness, which will overhauls these agreements and ensure they reflect the socioeconomic interest of the republic. This writer is even on record for writing an opened letter to the then President- elect George Manneh Weah before his (President Weah) induction on January 22, 2018. In the opened communication to the President, this writer, as part of four recommendations to the President, included the full scale review of all concession agreements which should not only overturn all the deliberate frauds in those agreements but also ensure that the government has not less than 30percent shares in all corporations that operate in the country’s mining, agriculture, forestry and oil sectors. Such approach will curb the overreliance of the government on taxes, royalties, grants, loans and goodwill as sources of revenue. It will also lead to the working class to have a decent living wage as it is one of the fundamental responsibility of any government to ensure that the working class is not subjected to wage slavery. Furthermore, it will then provide to the government a more sustainable and huge source of revenue, as the government will now have shares in the surplus profits of those foreign national corporations that are making millions out of the country’s mineral and natural resources but are doing nothing to reinvest their dividends in the secondary sector (Industrial) of the country’s economy. The net effect of such approach will increase the revenue envelope of the government; ensure that it has a reliable source of foreign currency earnings, and some of such funds will be invested in capital expenditure geared at diversifying the economy and providing jobs for the vast majority of the citizens who are unemployed. Some of the funds generated from the government’s shares in those multinational corporations can also be directed at massive public investment in education, health, and other social utilities. 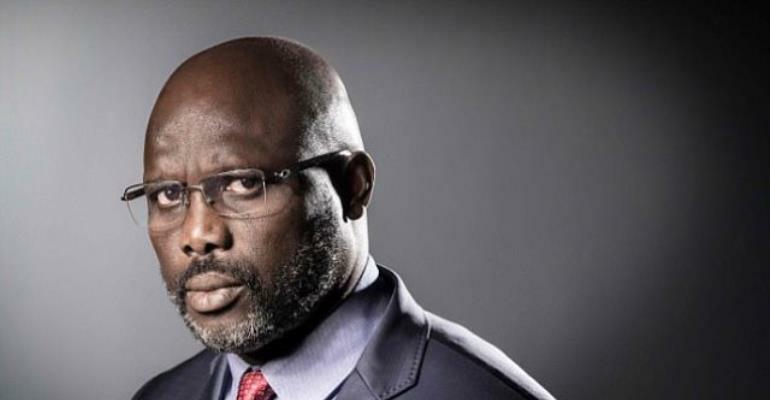 So, President George M. Weah’s decision to form a committee with the mandate to review all contracts between the Liberian government and concessionaires is welcoming but with a strong reservation. There is a fundamental flaw in the President’s mandate that says: “…… contracts entered into by the Government of Liberia and Concessionaires are executed according to agreed principles in accordance with the Laws of Liberia.” According to the Liberia’s National Investment Commission, laws that spelt out ways in which our mineral and natural resources can be given to multinational corporations are found in the Acts that established the National Bureau of Concession, the Public Procurement & Concessions Commission (PPCC), and Extractive Industries Transparency Initiative (EITI). If the contracts are reviewed according to agreed principles in accordance with the above Laws of Liberia which this writer thinks are tools for empowering the ruling class at the expense of the Liberian working class, poor slum dwellers and the peasant masses, the structural imbalances that are impeding Liberians from being direct beneficiaries of the country’s productive forces will not be tackled in the interest of Liberians. Liberians are poor. According to an IMF’s 2016 Report, Liberians are the fourth poorest people in the world. Therefore, they do not have the capital to express interest in public assets (especially mineral and natural resources) owned by the Government. Therefore, this clause in the Liberia’s Public Procurement and Concession Act of 2010 is bait for foreign monopoly capital from industrialized countries to have undue access to Liberia’s mineral and natural resources which are explored and exploited in exchange for paltry sum in royalties and taxes, at most times, taxes are negated under veil of investment incentives. Although Article 74.1(a) of the Public Procurement and Concession Act asserts that one of the objectives of concession is to increase the revenue of government, a cursorily look at development statistics on Liberia says such strategy has not met the anticipated result and have decimated the Liberian people on a grand scale . With over 16billion worth of Foreign Direct Investment in Liberia, significant portion of which comes from concessions in the mineral and natural resource sectors, the government of Liberia has not mobilized sufficient revenue from such venture, which could in turn be used to roll out social programs in health, education, infrastructure, security and etc. for its impoverished people. While these concessions subject the working class to wage slavery, expose host communities to environmental hazard, they however export to developed countries their millions in surplus profits. According to a LEITI’s Report, from a dollar earned from the exportation of Iron ore, US$ 0.80 is exported through shareholders’ dividends and expatriates’ salaries, US$ 0.07 is given to government in taxes and US$ 0.13 is given as Liberian workers’ wages. In this setup, the Liberian government then remains a victim of consistent budget deficit and shortfall because of its gross limitation of revenue sources. According to the Ministry of Finance and Development Planning, over the past three years, the average budget deficit has been 6.0percent of the country’s average Gross Domestic Product (GDP). In 2015 and 2016, the government of Liberia experienced 47million and 70million shortfall in its budget respectively. To finance the deficit, the Liberian government goes with a begging bowl to the World Bank, International Monetary Fund (IMF) and other international for loans that come with harsh terms and conditions; thus, the republic becomes a heavily indebted poor country (HIPC). Liberia reached the HIPC conclusion in 2010 but now has a public debt record of 44.8percent of GDP according to the Heritage 2018 Economic Index. To tackle the shortfall and service her debt, the Bretton Woods intuitions will command the Liberian government to slice funds for social programs such as education, health, infrastructure and etc. And others wonder why the people of Liberia have been subjected to extreme agony and misery throughout their existence, despite the country being blessed with enormous mineral and natural resources. The truth of the matter is the laws of Liberia including the PPCC Act of 2009, NBC Act and LEITI Act of 2009 that grant the rights of ownership of the country’s mineral and natural resources are tools of the possessing class which have been used against the non-possessing class in Liberia. And until these tools (Laws) can be revisited to reflect the economic interest of the suffering people of Liberia, the development of underdevelopment will persist in the West African Republic. This is why this writer disagrees with the President regarding his assertion that the current concession agreements be reviewed within the present limitations of Liberian laws. The laws that spelt out ways in which our mineral and natural resources are given out to multinational corporations are not only flawed but anti-people from beginning to end. These laws, like in the case of any capitalist society, have positioned the state to be a weapon of the ruling class in the class struggle that exists between the bourgeoisies (the possessors of wealth) and the working class (the creators of wealth), poor slum dwellers as well as the poor peasant masses who languish in despair in the rural areas. Instead of these laws being crafted to serve as suppressing tools for the majority poor against the minority rich, it is the reverse. Therefore, this writer is calling for not only the revision of concession agreements but also the altering of laws that grant ownership rights of Liberia’s mineral and natural resources to foreign monopoly capital in exchange for insignificant sum in royalties and taxes. The law must now reflect how the state, with the popular involvement of the people especially the working class, can manage its mineral and natural resources to enable it to mobilize sufficient capital through exploration and exploitation in order to tackle wage slavery, and seek the overall welfare of the mass of Liberians. That is, at the expense of their country’s resources, education, healthcare, infrastructure, security and etc. can be improved to reflect a favorable social existence of the Liberian people. Moses Uneh Yahmia is a student of the University of Liberia. He studies Political Science major and Economics Minor. He is also a cadre of the Movement for Social Democratic Alternative (MOSODA), a Pan African political movement that is focus on not only mobilizing and educating the mass of Liberians against a socioeconomic system that has only worked for foreign monopoly capital and its indigenous accomplices in the country’s political class but also presenting and agitating a clear cut pro-people alternative that has the determination to make the people the subjects of the economic affairs of the state. Yahmia can be reached via [email protected]/+233209326013.